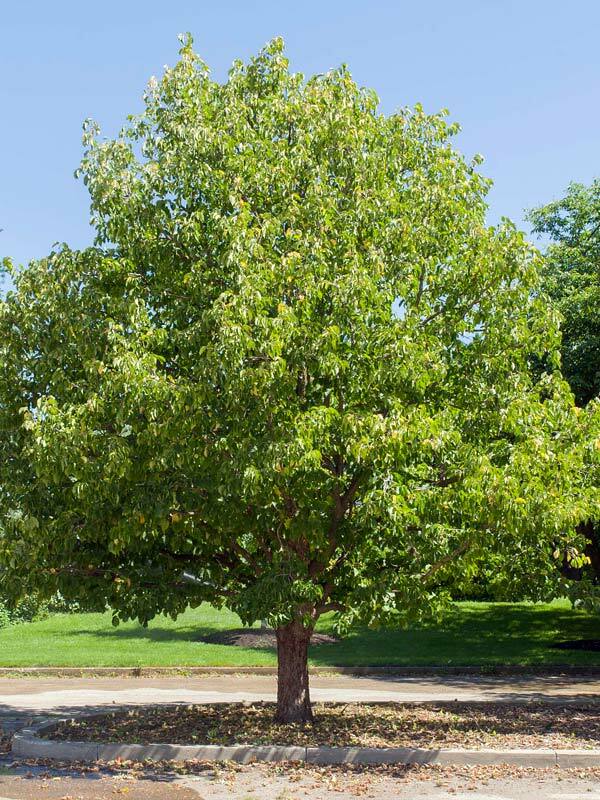 Turkish hazelnut is a slow-growing, pyramidal-shaped shade tree that grows up to 40 to 50 feet in height. It is prized for its dense, pyramidal crown, and grows well in the city as well as in suburban gardens, with fine form for a formal landscape. Flowers in March are subtly attractive; clusters of drooping catkins are one of the first signs of spring. The nuts appear in September and October. This heavily branched shade tree forms a symmetrical outline and is pest-free. It grows in full sun and tolerates urban conditions remarkably well. As a hazelnut, it produces and drops nuts in large beaked husks that are popular with wildlife. The nuts, if produced, are edible. Park/Residential: Appropriate for landscaped planting sites including public parks, residential property, golf courses, cemeteries, etc.